As a Brazen girl junkie, I loved reading Katee Roberts books. And so when I finally had a chance to sit down and read The Marriage Contract, I was intrigued with the blurb. Right off the opening pages, my interest was piqued when I discovered this was a mafia romance. The heroine, Callie was arranged to marry into another mafia family but another circumstance came about so Callie was surprised to find out that she was arranged to marry the Teague O'Malleys, son of another prominent mafia family in Boston. Instantly there is an insta-lust/love brewing between Teague and Callie. As they navigate through their arranged marriage to each other, mafia business seem to be the forefront as danger threatens as a power play of struggle between the three prominent mafia families begins to intensify. While The Marriage Contract had a romance aspect, this book was so much more. It had layers of suspense, character development, and family history that were intricately exposed and revealed. Overall, I did enjoy the first installment and look forward to the next two book of this series. 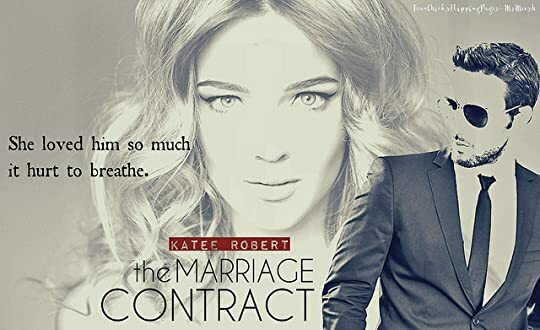 I love that Katee Robert was still able to intertwine romance, suspense, danger and power struggle all into this book.